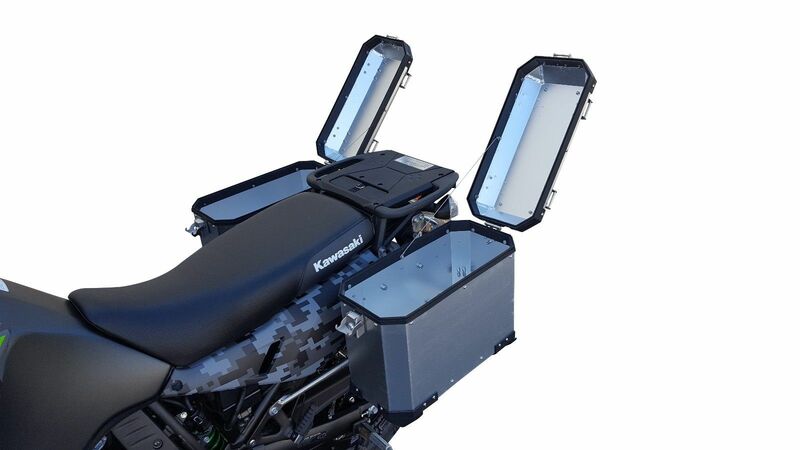 New to the market, Nomad Rider KLR 650 Pannier Set. The Nomad Rider luggage system feature the best mounting system in adventure riding. 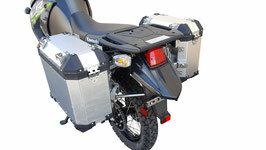 The panniers do not rattle like other mounting systems. 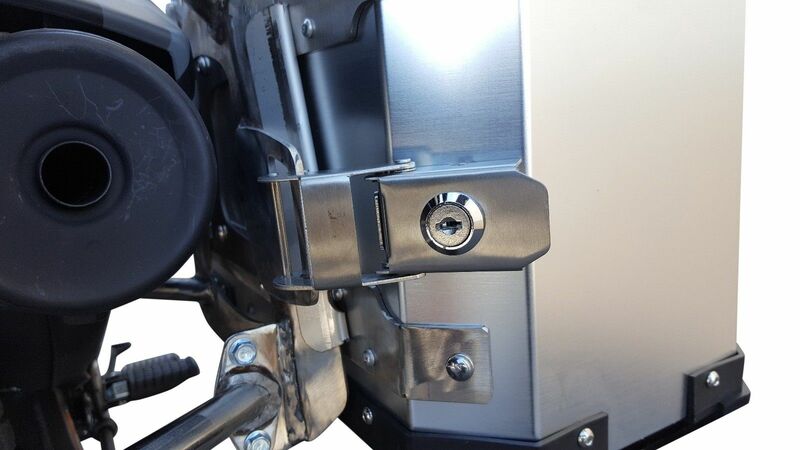 Quick release with a latch, no unscrewing pucks from inside of your boxes? 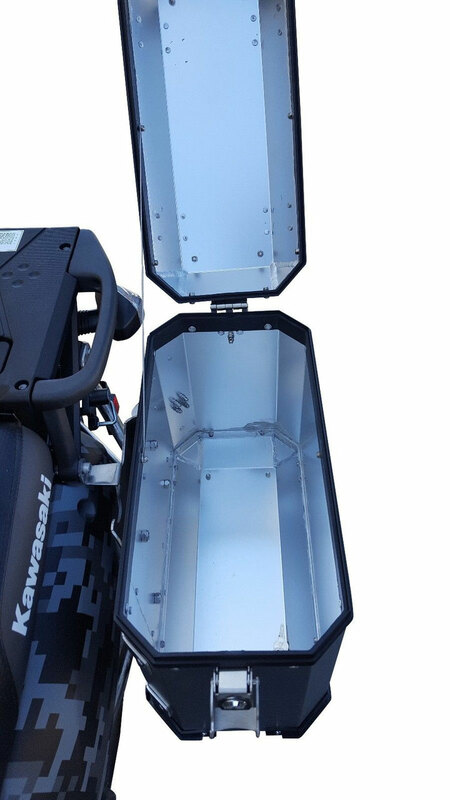 The boxes are made of aluminum and are very impact resistant. 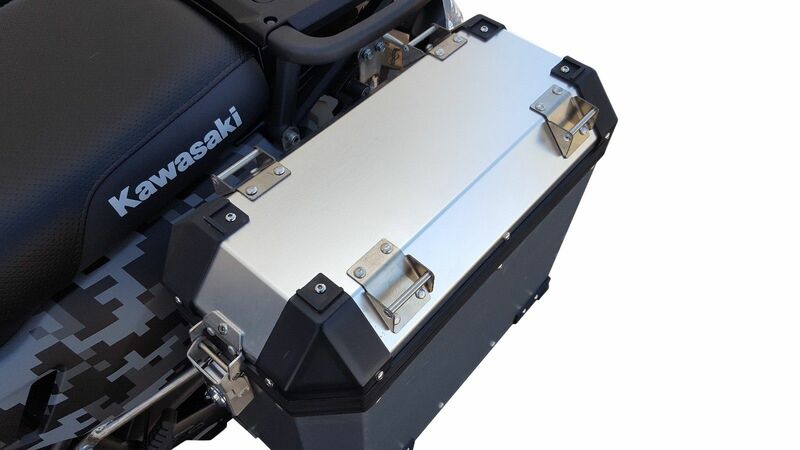 Each pannier is 35L and measures approximately 9 inches thick, 18 inches wide and 16 inches tall. 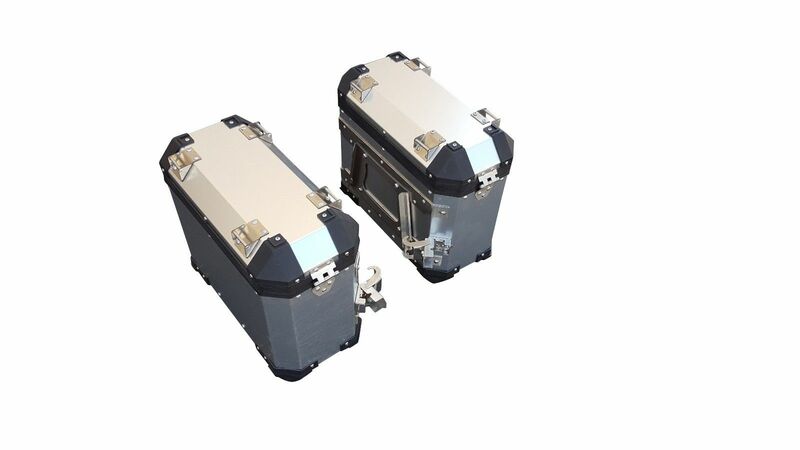 These were tested on very rough conditions in Death Valley. 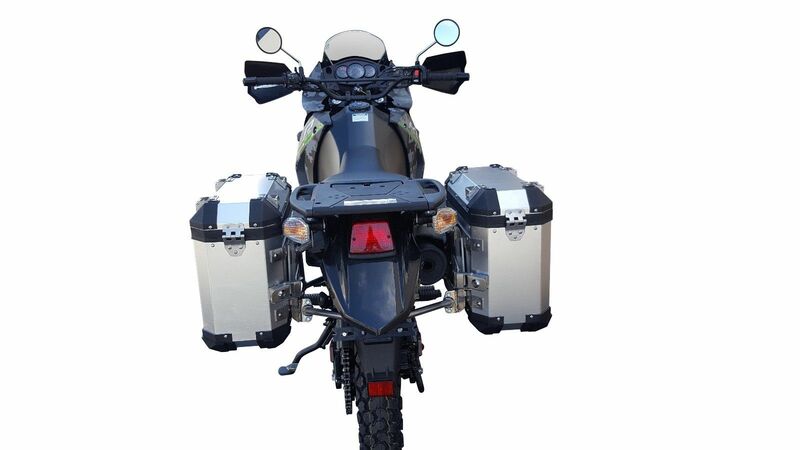 The panniers can withstand hard tip overs and hard impacts. 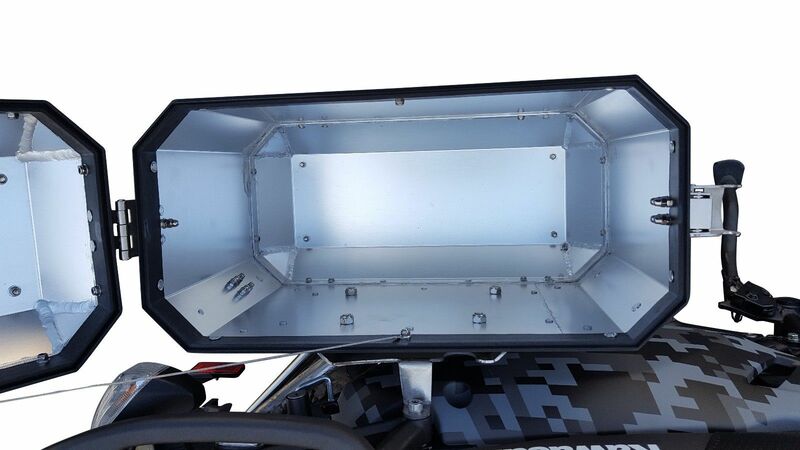 The racks are made entirely of stainless steel so there will be no rusting where the boxes slide on. Very nice looking and professional set. 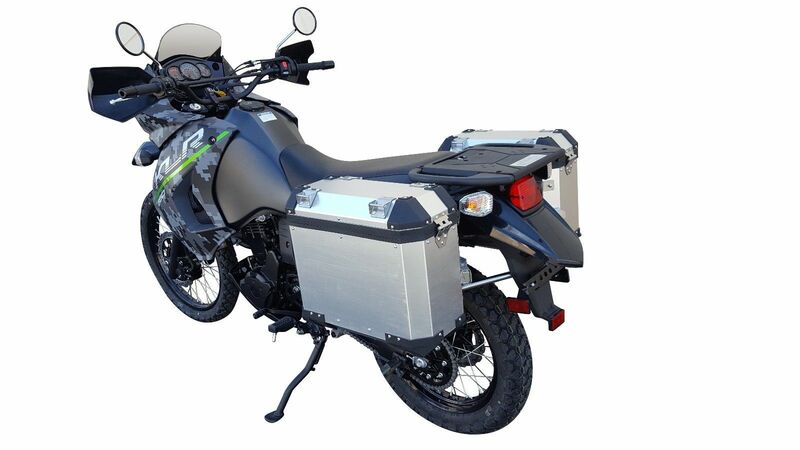 Comes with keys and locks to lock panniers and also to lock to bike.